When I first heard that Naymlis was going to bringing Slick Rick to Abode I really couldn't believe it. I had this date marked on my calendar for weeks! I can't even begin to tell you the number of times I would watch the Children's Story video on Rap City coming home after from middle school. This man was a true pioneer so to say I was excited to see him coming to Wichita was an understatement. Big up to the Levvelheads. I was very impressed with them! 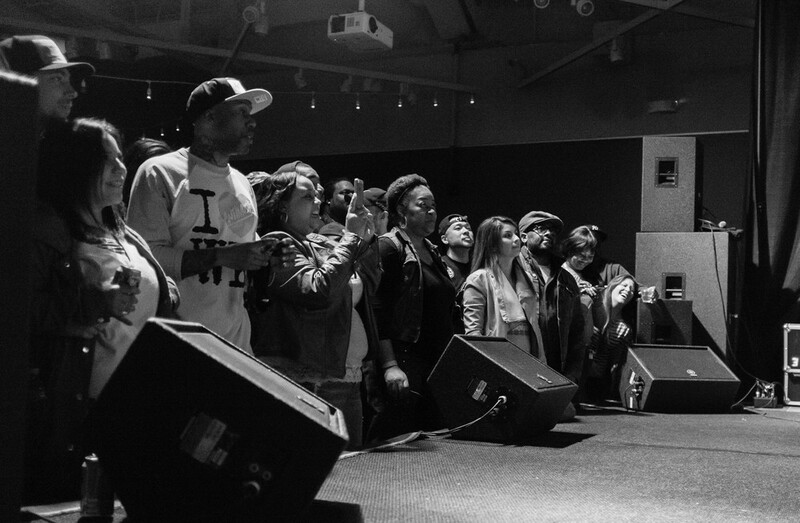 It was great to see what the next generation of hip-hop music in this city has to offer. I caught Bloody Hands in a cypher near the back of Abode. Bars! Approach performing. The first time I saw him perform was around 2000 in Lawrence, Kansas. To this day he has one of the most energetic sets I have ever seen. 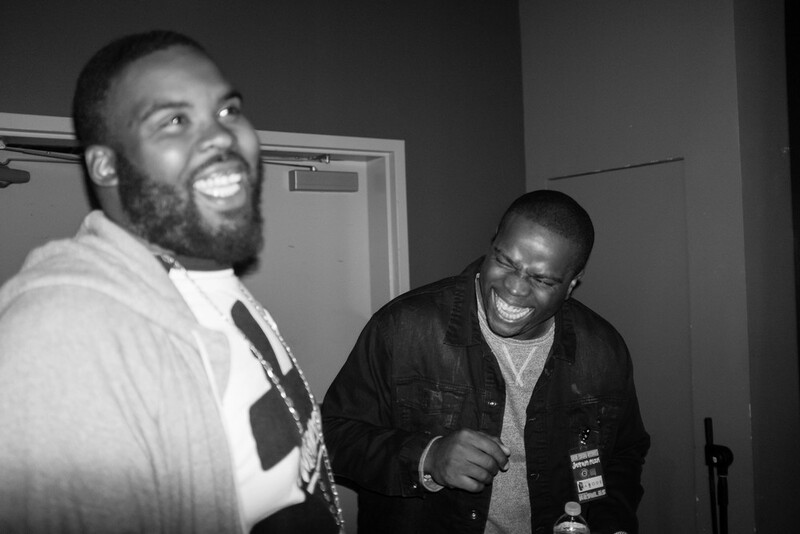 I caught a great moment with Bub Love and Nnanna backstage as we were waiting for Slick Rick to go on. Slick Rick hits the stage! YBM Smooth was in the house. Chris from Dead Canary records. Cing J also was in the house enjoying the show. 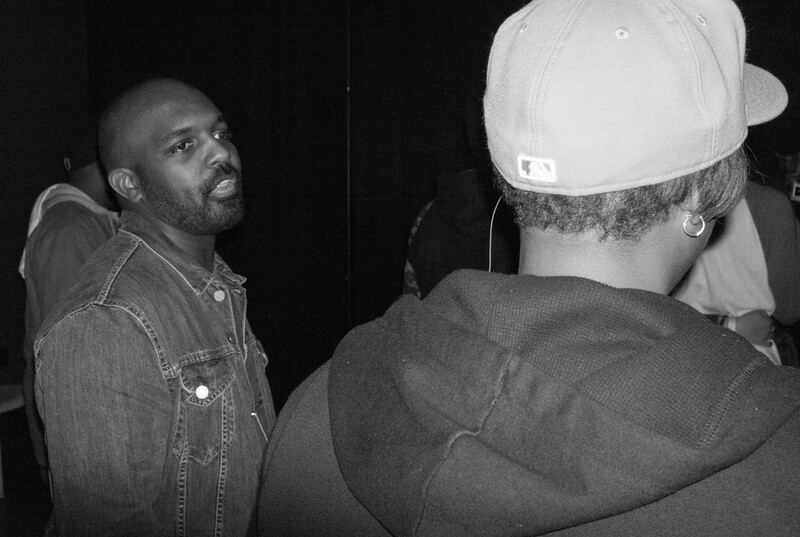 Kyle talking to some friends and watching Slick Rick on stage. Kyle giving me the mean mug. Dirty UA was in the building! In the back of the crowd watching Slick Rick perform Teenage Love! Everyone had to get their cell pix with Slick Rick performing in the background. Approach with his Slick Rick record waiting to get it signed back stage. Slick Rick The Ruler owning the stage! Crim De La with his signed Slick Rick poster. If you haven't got his new album, go grab it! He is representing Wichita to the fullest.